People dive into acting with a lot of hopes and dreams of succeeding and walking the red carpet, being known for massive talent and success. And it might seem like the number one way to get there is to just be great and show up, but there’s more to it than that. You have new techniques to learn, movies to research and a career to plan. You don’t have the time to learn the business tips ‘behind the curtain’ - not through trial and error at least. There are people to know, scams to avoid, talent to better and ways to present yourself that if you’re not prepared ahead of time, you’ll be taken for a ride or fall flat on your face. At the New York Acting School for Film and Television, we believe you should have the best shot at success with as little risk as possible. So what we give to you are some simple words of advice. So you can win. For starters, your highest priority should be to better your skills. So make sure that you’re expanding your knowledge. Work with a coach and get involved in group classes as well. It’s important that you take advantage of one on one learning opportunities as well as the group experiences as they have different lessons to show you. Next, no matter how much experience you have, make sure you go to as many casting calls as you can because they hold the biggest weight in your chances of getting work. The hunt for them can feel tedious, but push through it. Once you have had a good amount of call backs and have worked on several jobs, you'll have an impressive résumé that may even get the attention of a talent agent who will then locate work for you. Another thing to keep in mind is that not all people have your best interest at heart. There are scammers and predators out there. So just because someone says you’ve got talent, doesn’t mean you should listen to them or pay them for services. Keep in mind that in order to get a talent agent, you must already have a fair amount of acting experience and an impressive acting résumé. Want the great roles? Hunt foor the quality and legitimate casting notices, casting calls, and auditions. You can do this by diligently reading the industry trade magazines and by joining casting websites. 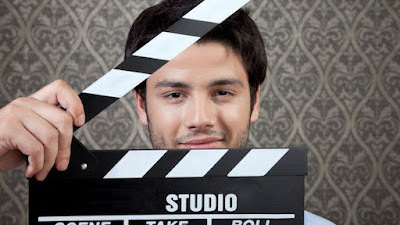 Established talent agents have well connected relationships with major casting directors, production companies, studios and other industry insiders. It is the agent's job to use these relationships and contacts to find the best parts for their clients. Do a background check on the agents you consider as well. Avoid ones you don’t trust at first instinct, because it’s likely your instincts are on point. Some are honorable and others just want their own gain. Acting is a business, after all and with business comes politics, rules, and seniority. Many talented creatives tend to forget this very important fact and it affects their ability to create success momentum. No matter what kind of performer you are, if you’re looking to get paid, then you’re in a business. This means people will both play dirty and they’ll play by rules and you need to get clear on all of it. Talk to people who’ve been in the business a long time and ask them advice and what they’ve learned over the years. Don’t just be good, be the best- in every area of the trade. At the New York Acting School, we are here to help you along in your goals with classes, coaching and more! Call us today for more information!